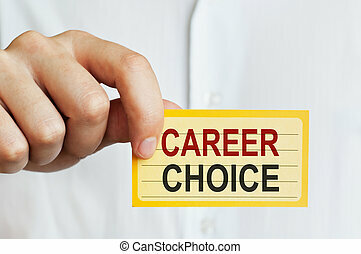 Career choice. 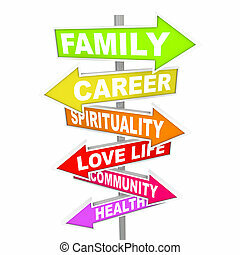 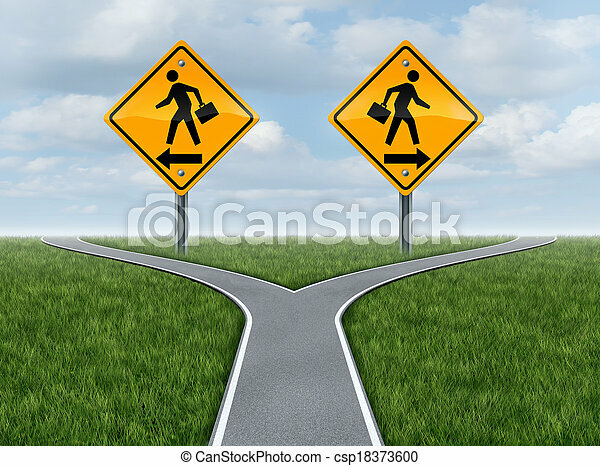 Career choice and choosing a business direction with yellow traffic signs with businessmen going in opposite paths on a crssroad street as a symbol of difficult opportunity decisions. 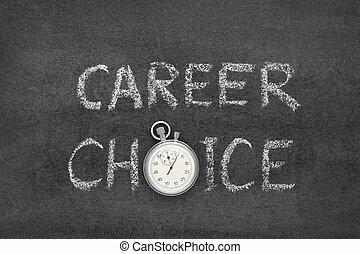 Text Career Choice is written on the blackboard background. 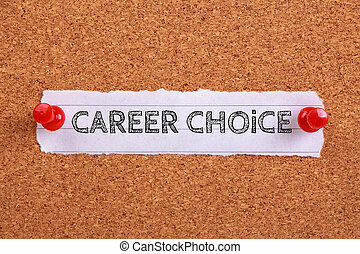 Note paper with text Career Choice is pinned on the wooden cork. 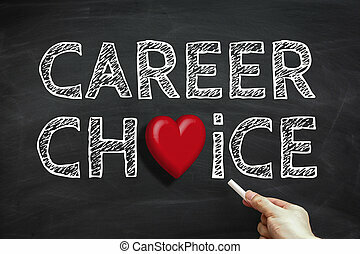 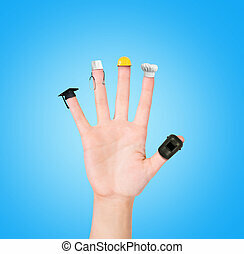 Hand with white chalk is writing the text Career Choice on the blackboard. 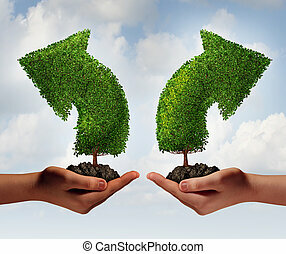 Handshake of businesspeople. 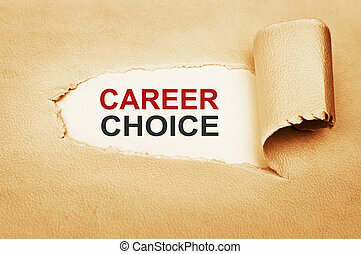 Confident career choice. 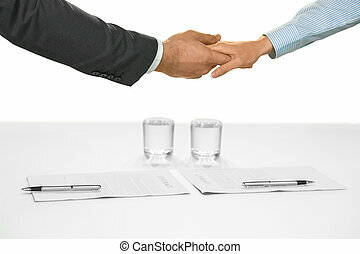 Contracts signed and agreements made. 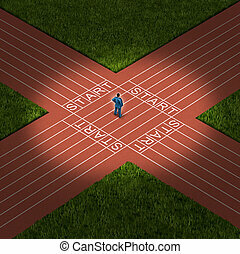 A new start. 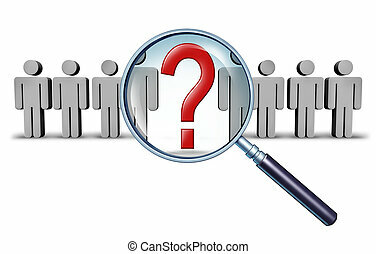 Career job search and business career choice employment concept with human businessman icons and a red question mark in a magnifying glass as a symbol of recruitment and occupation discovery. 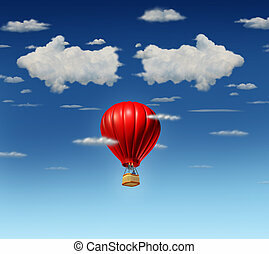 Success choice business concept as a red air balloon with a businessman pilot flying up and facing a difficult direction dilemma with clouds shaped as opposite pointing arrows in the sky. 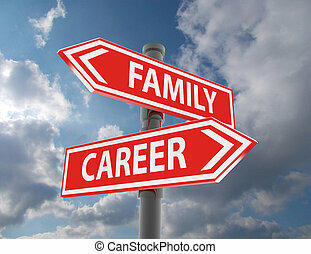 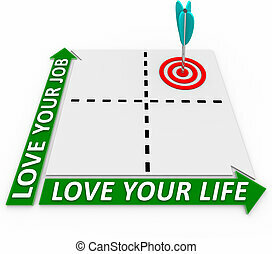 Career Direction and job opportunity through training and professional skill development as a businessman standing on a road or path shaped as a human head or face as a concept for employment success. 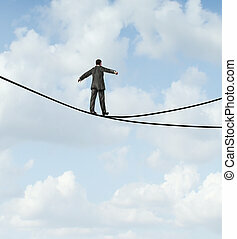 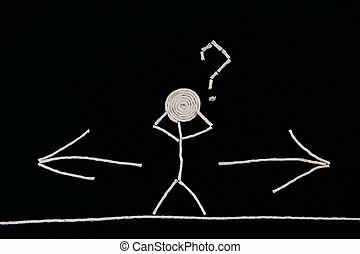 Risky choice business concept with a man walking a dangerous high wire tightrope that is in a crossroads splitting into two opposite directions as a symbol of strategy dilemma deciding on the best path. 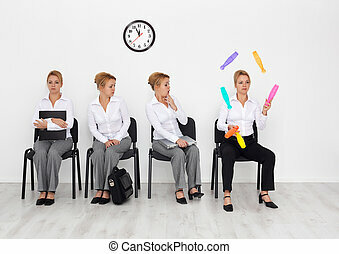 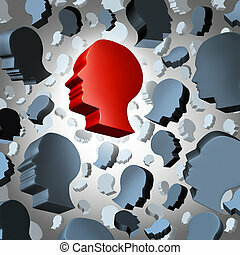 Recruitment choice and employment search for the best candidate as a business concept with a group of three dimensional human heads floating in space and a red highlighted winner selected as the leader of the community. 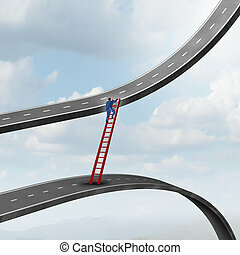 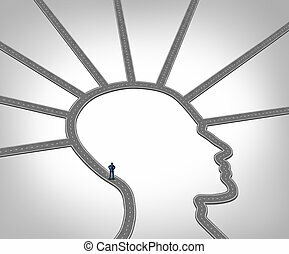 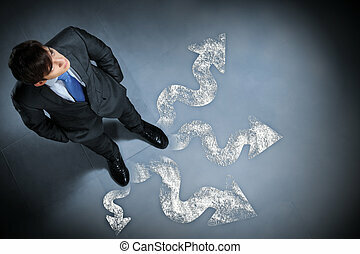 Career decision business strategy concept as a businessman standing on a track and field that has multiple paths to a future opportunities as a metaphor for uncertainty and financial direction confusion and choosing success options. 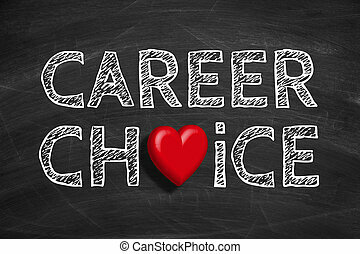 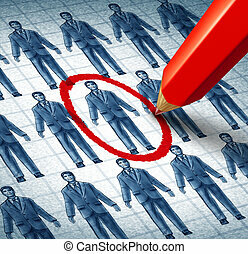 Job search and career choice employment concept with human icons and a red businessman character in a magnifying glass as a symbol of recruitment and occupation discovery. 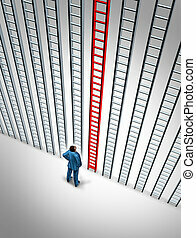 Business success choice with a career person tanding in front of a group of ladders with the red one as the best choice for financial wealth on a white background. 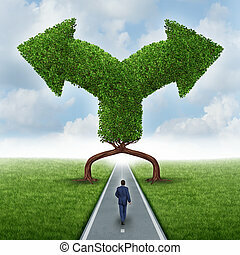 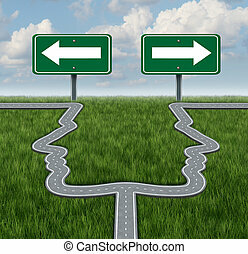 Growth direction choice business concept as a businessman walking on a road with two trees shaped as arrows pointing in different directions as a metaphor for a crossroad dilemma for a growing career or investment. 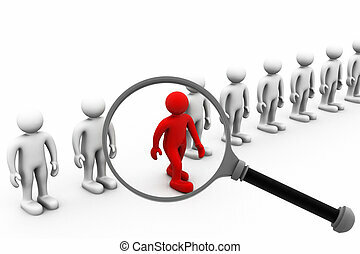 Employment and career concept with human head icons and a red businessman character in a magnifying glass as a symbol of recruitment and occupation discovery. 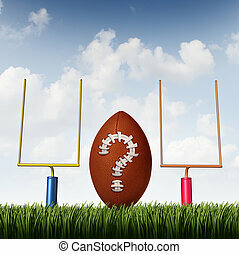 Winning strategy choice as two american football goal posts and a ball with a question mark made from stitching as a business goal symbol of uncertainty.